A 24-hour Holter Monitoring test is a continuous record of your heart’s rhythm during waking and sleeping. 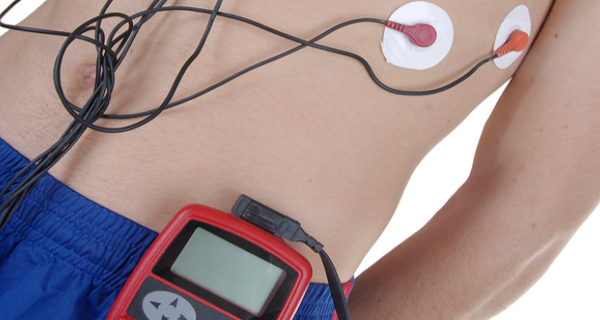 The Holter Monitor is a small device worn in a pocket or pouch connected to several electrodes placed on the chest. The purpose of 24-hour Holter Monitoring is to record the heart’s electrical activity during daily activities and correlate that to episodes of rest, exertion, or chest pain. The results of this test can help your Forest Healthcare physician better analyze any arrhythmias (irregular beats) and match those episodes with your activity at the time. You will be asked to keep a diary of your activity during the time you’re wearing the Holter Monitor. It is important to record the times you were doing any particular activity as well as any episodes of chest pain. After 24-48 hours, you will return to Forest Healthcare for the removal of the device. Your Forest Healthcare physician will read the results of the test and compare them with your diary. Together, you’ll discuss the results and your doctor may decide to adjust your medications or suggest further testing.